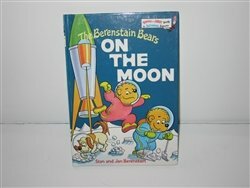 When THE BERENSTAIN BEARS GO TO THE MOON young children will want to read along and join them in an adventure that is both exciting and educational. Bright and early books help even the youngest children get ready to read. Simple stories and basic concepts are humorously presented in rhythm and rhyme. Pictures that fully explain the text help even babies make the important connection between word and meaning. It's never too early to find out that 'Learning to read is fun'.